It was only right that Bill Brittle got his first glimpse of Dream Big at the Liberty Science Center in Jersey City, NJ. Brittle, P.E., F.SEI, F.ASCE, an ASCE Region 2 Governor who worked at Bechtel for 44 years in various management roles, was among a group of 2017 Multi-Region Leadership Conference attendees who saw a digital version of Dream Big: Engineering Our World at the science center. 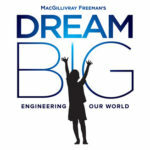 Presented by Bechtel and produced by MacGillivray Freeman Films in partnership with ASCE, Dream Big premieres on giant screens across the country Feb. 17. Brittle took part in early discussions about the film at a content symposium more than a decade ago. The meeting location? Liberty Science Center. Brittle talked with ASCE News about his memories of that kickoff meeting and what he thinks of the film now that it’s a reality. 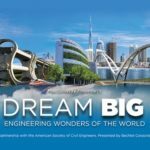 ASCE News: So take us behind the scenes for those early discussions about what became Dream Big. And we struggled, we really did. How do you come up with an idea, something to make engineering and construction exciting? I think those of us from the companies thought, “Well, maybe we could take a construction project.” We were trying to think of some kind of plot that would work. We all agreed that you can’t just show old projects. 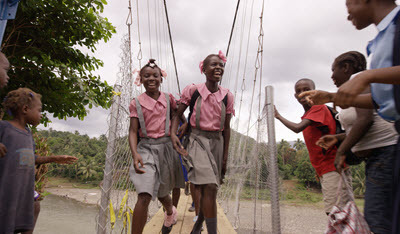 And never once did we think about what they ended up with, which was this young person making this bridge in Haiti or the kids from the high school in the robotics championship. We never once discussed that type of thing. We didn’t think of it. And my hat’s off to the film producers for coming up with that. When I watched the film the other night, I was really moved by those sequences. I thought, “Man, this is really great stuff that they’ve done!” I hope other people will be too, particularly kids. 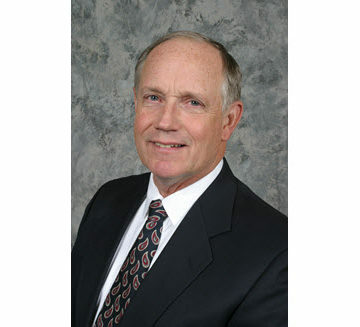 ASCE News: Why do you think it is so difficult to convey that excitement about civil engineering? It’s such a dynamic profession, but at the same time, it does seem difficult to sum up. Why do you think that is? Brittle: It’s hard to come up with just one exciting moment. I think what’s exciting about civil engineering is when you complete a project that’s been going on for 10 years or five years – something that’s taken a big hunk of your life – and then you can look back on it and say, “I had a hand in that,” or “I had a role in building that.” But to turn that into something that’s appealing in a movie, that’s quite an undertaking. 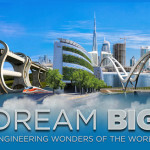 ASCE News: So now having seen Dream Big, what kind of effect do you think it will have on audiences and engineering? Brittle: I don’t know if I’m just a softie [laughs], but I was greatly moved by those kids, those young people doing those wonderful projects. It makes you feel good about the future of engineering and the future of the country when you know there are smart people coming along who are going to step in and advance science and technology. I think it will have a huge impact. I personally can’t wait to take my grandchildren to see it. 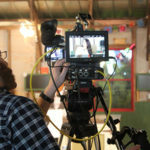 Keep up with the latest on Dream Big, including where to see it near you, at the movie’s official website.